BUNNYHEAD ISSUE 1 NOW AVAILABLE! 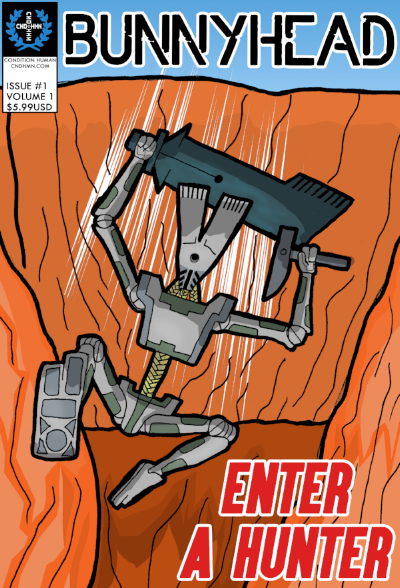 BUNNYHEAD #1: ENTER A HUNTER is now available at Indyplanet.com! Introducing BUNNYHEAD! "After awakening with its memory wiped a lone robot must fight for survival on a ruined world battling cyborg invaders from space while trying to piece together the mystery of its vanished memory and the Creators who made it."